Before I dive into today’s organization project, I have to take a moment to thank you all for the tremendous outpouring of love and support in response to the news I shared last Thursday! That was one of the hardest posts I have ever written…and I was honestly SO nervous about publishing it. I spent a good hour lying in bed wide awake the morning it went live, too scared and nervous to look at my phone to see the reaction. The amount of genuine joy, love, and empathy for our little family was incredible and overwhelming…making this part of our journey even more special! Thank you for sharing in our joy and for taking the time to send along prayers and well wishes! We can’t wait to share this next chapter with you all! Okay! As promised, I am checking in really quick with those household label cut files I promised last week. I pinky-swear promise I am not trying to milk this project and drag it out, but when I lumped everything into one post, it was way too long. 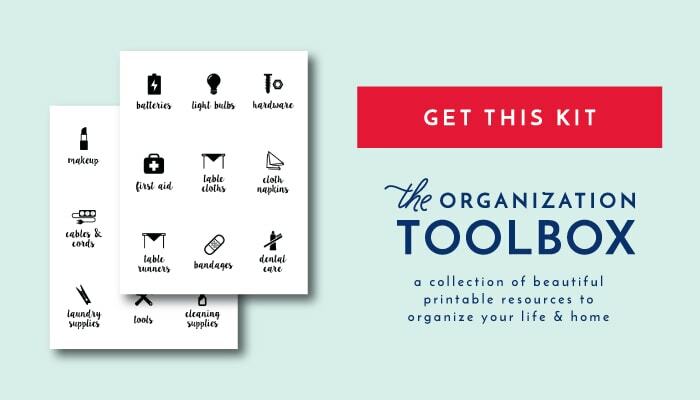 So, this is just a quick little announcement that these files are now uploaded for you in The Organization Toolbox…and while I’m at it, I’ll share a quick tutorial on how to use them! For those of you looking for a super easy, no-fancy-machine-required, “print and cut” option for these exact same labels, I refer you to this post HERE. All of the labels you see in this post are available in PDF format in 6 different colors. 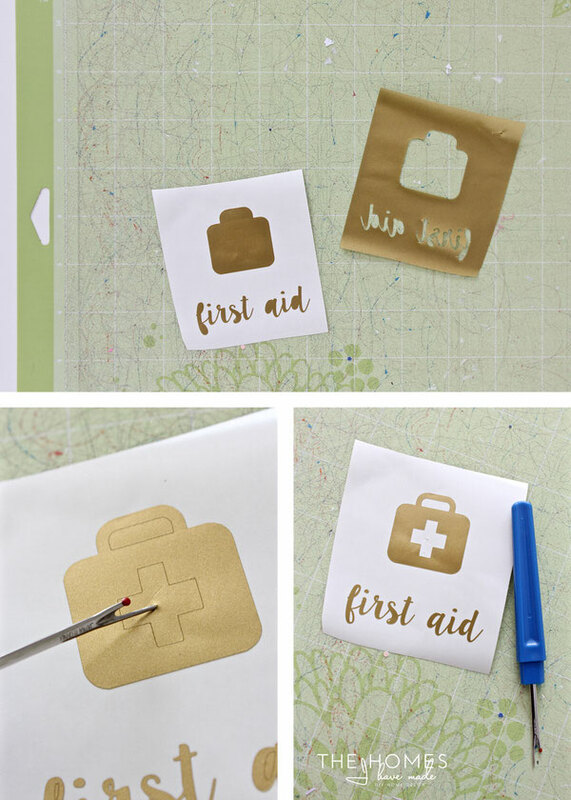 All you have to do is print them off your home computer/printer, cut them out and apply them wherever you need them! 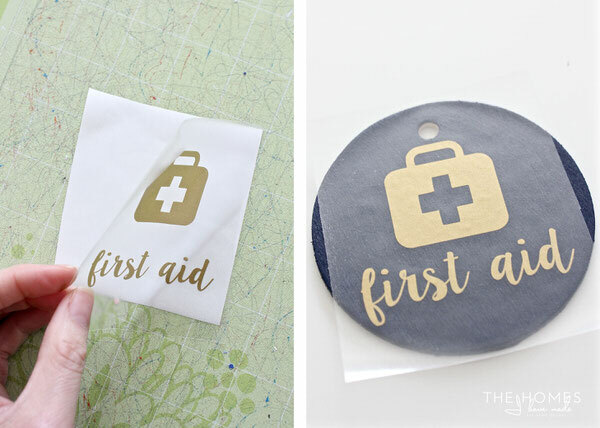 However, if you are a bit like me and want to be able to cut these labels from paper or vinyl in any size and color you’d like, this is the tutorial for you! 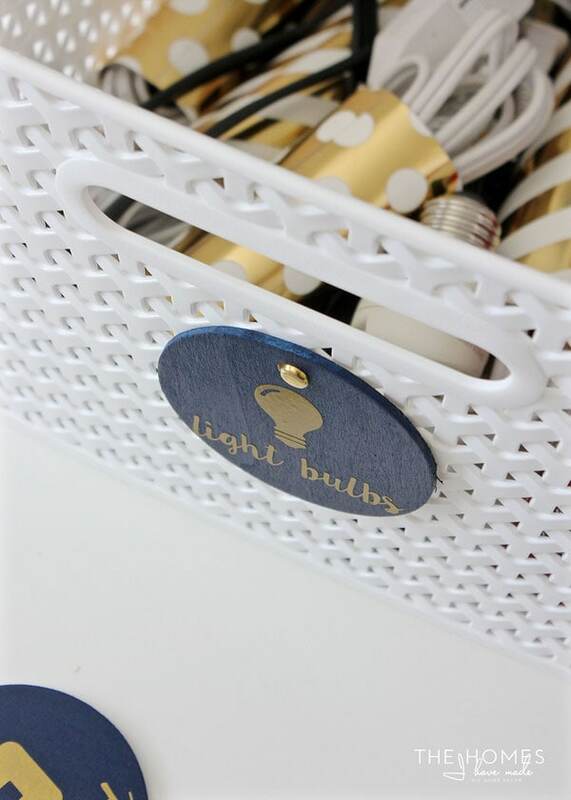 As you can see, instead of using the print-and-cut versions in my linen closet, I chose to cut the labels from gold vinyl and put them on chipboard rounds. To save you the trouble and headache of designing similar labels yourself, I am sharing both the PNG and SVG versions of these 36 labels! For those of you with e-cutter machines and software, feel free to import the SVG files and get cutting right away (no image editing necessary)! If you prefer to work with PNG files (for e-cutter machines or even to edit and use them in other ways), I have those for you too! 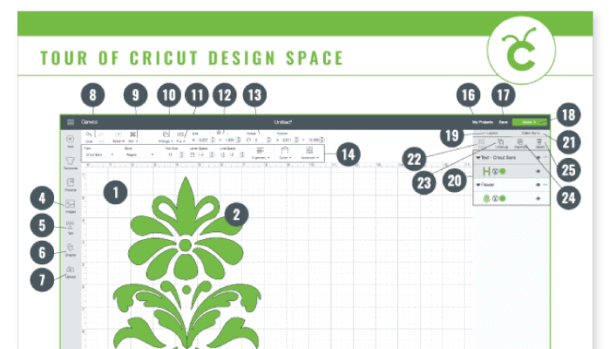 (Psssst – if you need help working with PNG files in Cricut Design Space, check out this step-by-step tutorial HERE!). 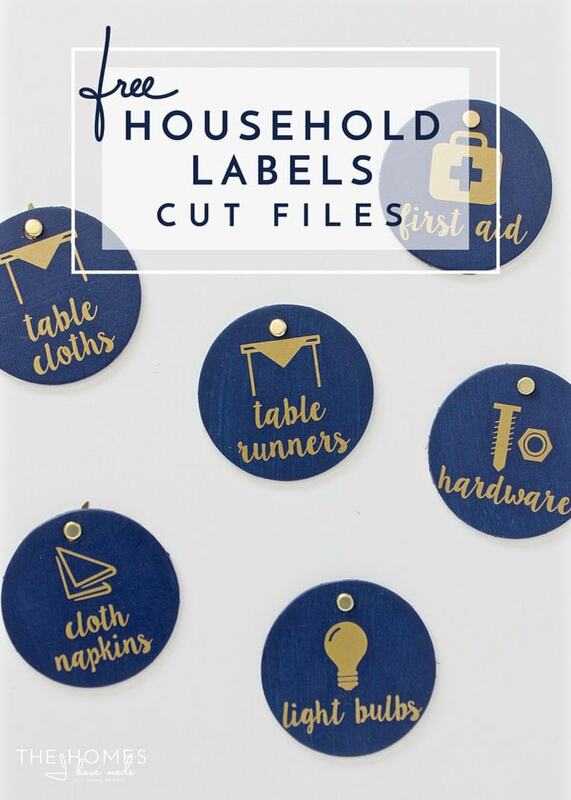 These Household Labels Cut Files (SVG, PNG, and Print options) have been uploaded to The Organization Toolbox and are available for download right now! 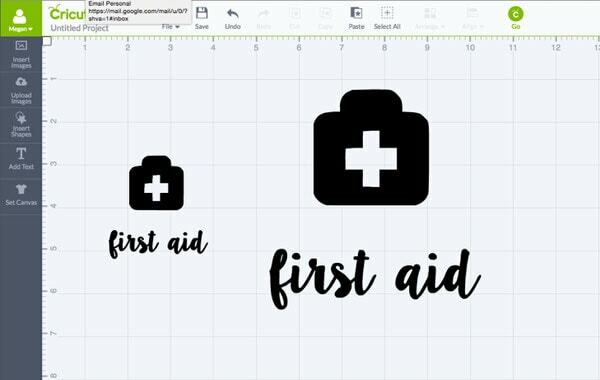 Once you have the files downloaded to your computer, import them to your e-cutter design software and clean up the files as necessary (if you are using Cricut Design Space, use THIS tutorial.) Once the cut files are uploaded and cleaned up, you can add them to a new project and customize them for your needs. …then cut them from either vinyl or paper. 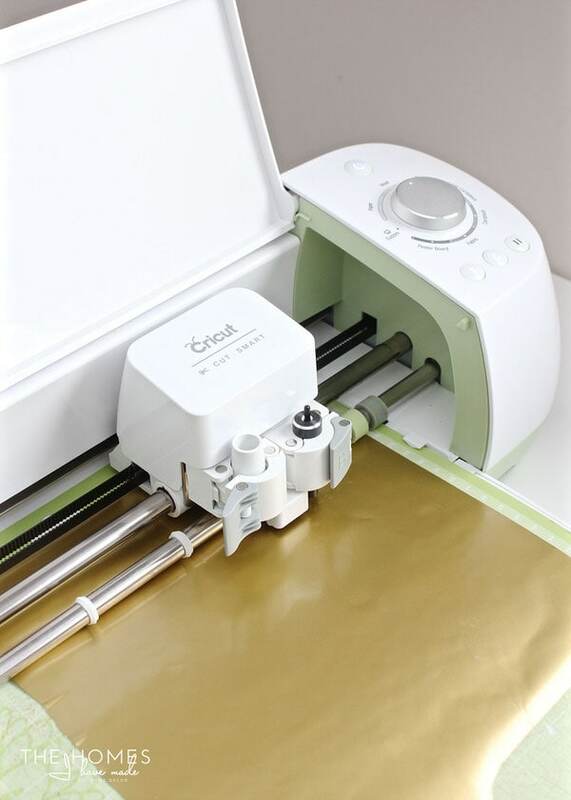 …and then transfer the vinyl labels to your final label surface using transfer paper. The last step is to fasten your custom labels to whatever it is you’re labeling. 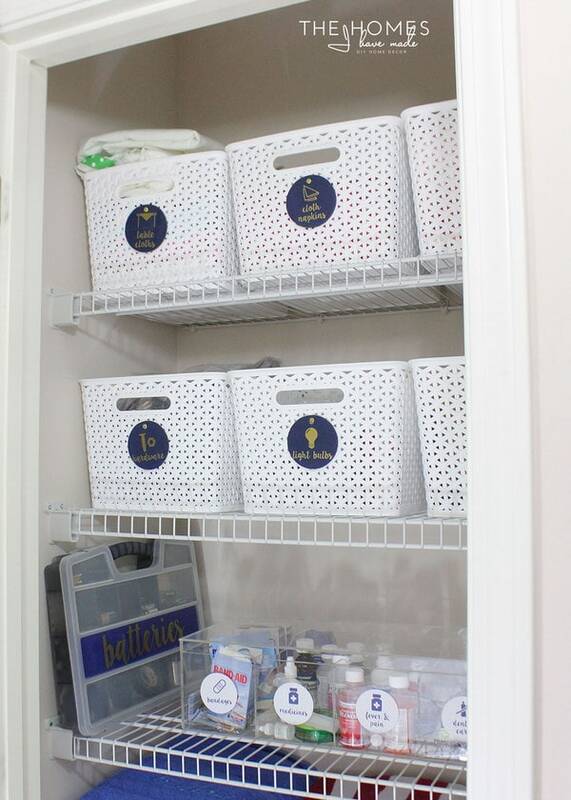 In my case, I used brass paper fasteners to attach the chipboard rounds to my baskets! When I first shared these labels in PDF format months ago, I realized there were limits to their usability since PDFs can’t be easily modified. For those of you that wanted to change their size, shape or color, you were kinda out of luck. I knew there would be some (including myself!) 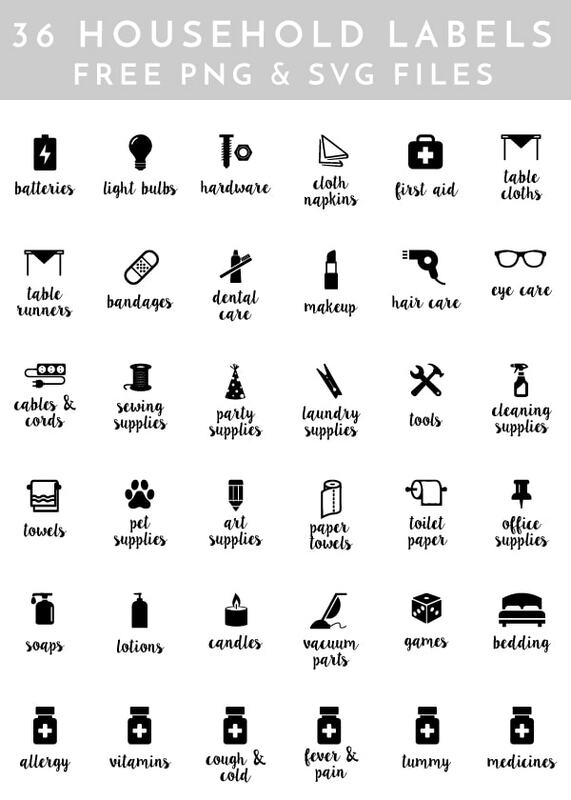 who would really love to have these in a more usable format (like PNGs or SVGs) to be able to truly customize them for your home and use them with e-cutter machines. With just a bit more work, I was able to transform these files into formats that allow them to be used in a variety of ways! 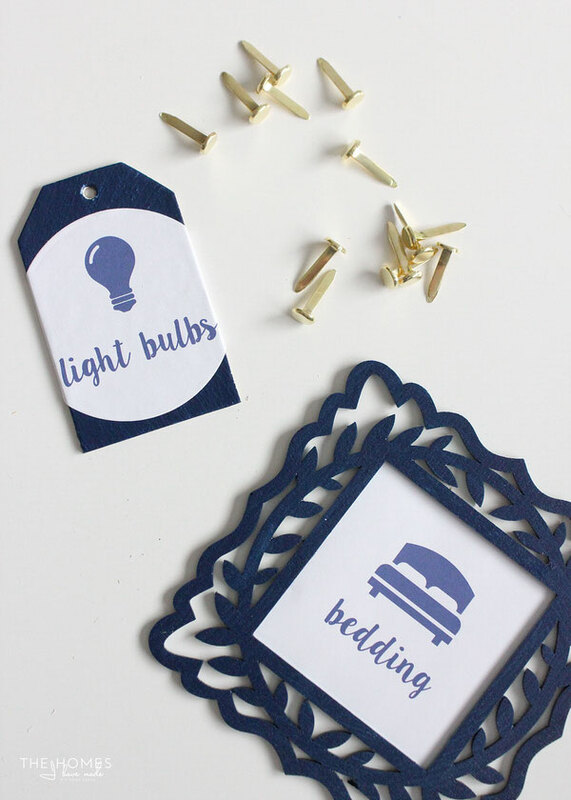 I hope you find them helpful; and if you do use them for projects/labeling your own home, be sure to let me know how it turned out!!! Later this week, I’m going to be closing out the month with a huge THIHM Around the Web round-up…sharing all sorts of posts and projects that have hit the web this summer. Then starting next week, I’m sharing the first glimpses of our new house with our stuff in it (eek) and revealing the first few projects we’ve tackled in this home! Thanks for bearing with me during this month of news and transition…see you back here Thursday! 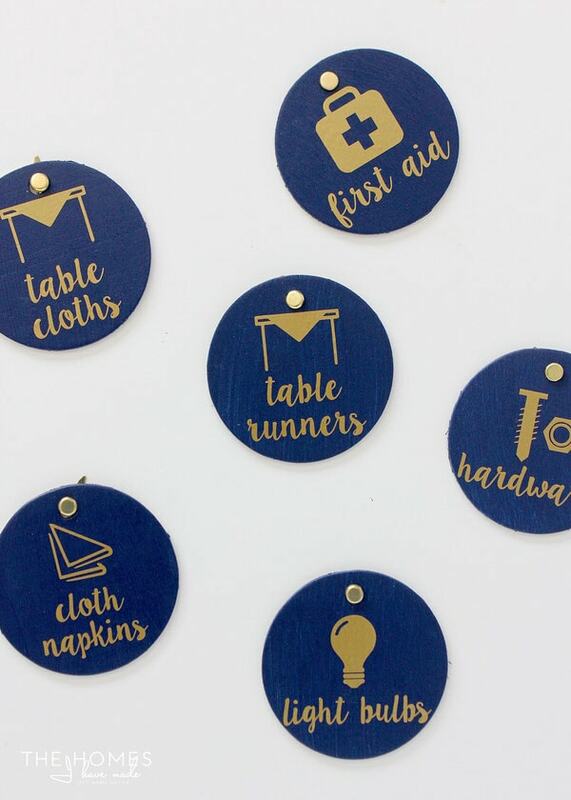 What font did you use for these labels? Love it! Thank you so much for putting this together for all of us! I have my chipboard all prepared, ready for my labels. Have you had anyone ask about using the project on the Silouhette? I am having trouble getting cut lines on the images. Thanks for writing – no, no one has written me having any trouble. I am so sorry to hear it’s not working quite right for you. Are you using the SVGs or the PNGs? Maybe try importing the PNGs if the SVGs are giving you trouble? Those files are also in the Toolbox. Hope that helps, keep me posted! Thank you so much for letting me know. I will get those fixed right away and let you know when the files can be downloaded again.